PURCHASE ARTISAN DRAPERY AT SHEILA’S WINDOW TOPPERS. Complement your drapery with a custom crowning touch—Graber Artisan Top Treatments. Choose from an elegant array of contoured cornices, scalloped or pleated valances, and lilting swags and cascades. 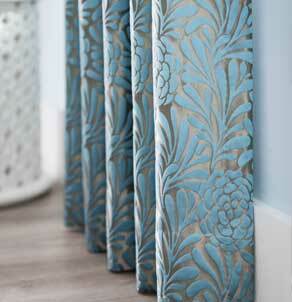 Top treatments enhance your draperies, blinds or shades. They can also be used as a stand-alone window dressing. Drop by today to speak with a professional Design Consultant at Sheila’s Window Toppers and learn about Graber Promotions. Learn more about Graber Draperies.